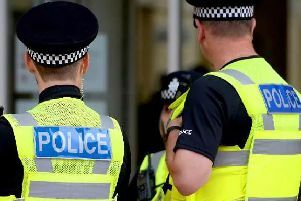 Police and prosecutors have praised victims who came forward to report historic abuse at a children’s home in Singleton. John Webber, 78, of Clifton Hill in Brighton, was jailed for 32 years yesterday for a campaign of abuse he carried out during the time he owned the Old Rectory Children’s Home. Some of his victims spoke of how they have carried the impact of his crimes with them to this day. Following the verdict, police released a statement discussing the complex investigation that led to Webber’s conviction. Detective Sergeant Karrie Bohanna, of the Sussex Police Complex Abuse Unit, said: “Webber was in a position of power at the home where there were a number of vulnerable children. The volume of offending against these victims where they should have been safe having been taken into care to protect them, is truly shocking. “Webber’s conduct, which he must have thought would be concealed for ever, began to come to light in March 2016 when one of the victims came to us via a local Sussex charity who support vulnerable people and victims. Lorna Lee, from the Crown Prosecution Service (CPS), said: “The victims in this case were particularly vulnerable when they were children, mostly having been placed into residential care by Social Services from a very young age. “The victims in this case, now all grown men, have all shown immense courage in coming forward to give evidence. “We know that many of them were substantially affected both by the abuse they suffered at the hands of Webber, a man who had been entrusted with protecting and caring for them, and by having to carry the secret of it for all their adult lives. Webber had previously gone to prison in 2001 after being convicted of possessing some 20,000 indecent images of children, according to police. However that offending had no connection with the home which had long-since closed. Don Grasty, 94, of Beach Road, Selsey, had faced 23 sexual offence charges, allegedly committed against six boys. However Mr Grasty, who had assisted in the management of the home, died in March this year before he could face trial.